Google, as we all know is the owner of Android and has taken advantage of it by adding a lot of its own apps to Android and then making some of them as default system apps. 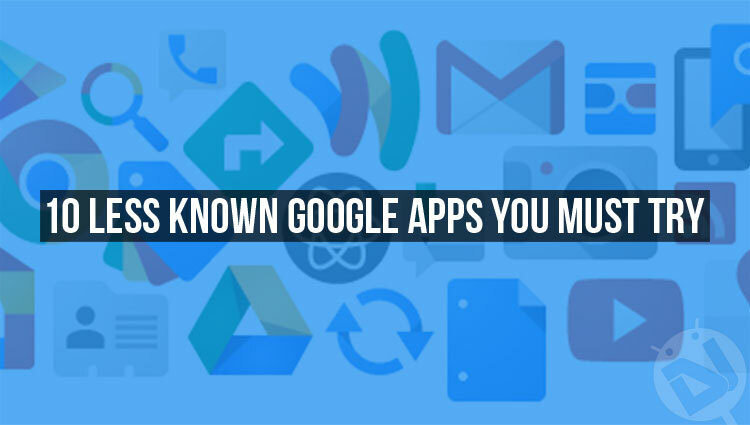 While most people know about popular Google apps like Google Chrome, Gmail, and YouTube, there are actually almost a 100 apps developed by Google and available over at the Google Play Store for download. 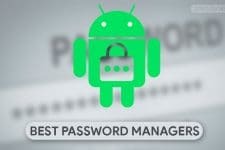 Some of the apps are quite popular, but a lot of these are unknown to most Android users. So, here is a list of 10 less known Google Apps that are very useful. Just like Uber Eats, Areo is a food delivery app developed and launched by Google most recently. Along with the home delivery of food, Google Areo also offers other essential household services like plumbing, cleaning, and painting. Areo also provides hyper local beauty services and you could book and schedule services according to your convenience. It also supports several payment options like cash on delivery, net banking, and credit or debit cards. Many of you might not have heard about this, but Chrome Remote Desktop is a quick and an easy way to remotely access your computer from anywhere you are. You have to first download the desktop client in order to use the app. Once you have installed it, you can now connect your PC/laptop with your phone and then start to remotely control it. You can type, use the mouse to move through your computer and could also view your computer’ display on your mobile. Crowdsource is an Android app which is solely based on the user. Google has exclusively developed this app to help users contribute to the Google community. You can help Google to make its app and services better by doing quick and simple tasks in the app. You can contribute in a lot of ways like, translating a small sentence, confirming the names and location of images and landmarks, validating the response of other people and so on. Google also provides you badges and upgrades your level every time you make a significant contribution. Google Expeditions is a learning tool developed to help teachers to take their students on a virtual tour of popular locations and landmarks around the world. It works with the Google Cardboard or any VR device and it also supports tours to underwater and even outer space. You can choose to be a guide or an explorer while using Expeditions. Based on your choice, the app will display facts and other useful information related to the place you are virtually visiting. You can also record the location, take notes or capture images from within the app. Similar to Expeditions, Google Arts & Culture is a virtual tour app where you can visit popular museums and explore the artworks of famous people. You can also save your favorite artworks or collections to view them later or share them with your friends. The app also has curated collections where you can find the most important artworks put together by experts in the field. Google has collaborated with over 1,200 international museums and galleries to put this together in the form of photos, videos, and manuscripts. Google My Maps is a subsidy of the popular Google Maps app. You can use this app to create custom maps of your favorite locations or cities and then use them to plan your trip or add notes. You can also use the web version to create your maps and it will be automatically synced with the app. Using Google My Maps you can also create a personalized map of your favorite places like restaurants, parks or beaches and then share them with your friends or family in case they are visiting your city. You can also keep track of all the places you visit by creating your own timeline. Google Authenticator is a security app developed by Google to add an extra layer of security to all of your Google apps and accounts. You can also setup it using QR codes and the best part is that Authenticator does not require any internet connection to work and it supports most providers. Once you have enabled the Google Authenticator, you have to pass through the two step verification process every time you sign in into your Google Account. This means along with your account password, you should also enter the verification code generated by Authenticator. Google Trips is the only app you will ever need if you are planning to go on a trip by yourself or with your family. Right from displaying your hotel and travel reservation details from your Gmail to suggesting you activities to do based on your location, Google Trips does everything perfectly. Google Trips also saves every data offline so you don’t have to worry about losing connectivity. It even suggests you the places to visit near your location based on the reviews and rating provided by other users. You can also use the predefined day plans to schedule your day accordingly. Google Classroom is a free service offered by Google to improve the quality and organization of education at schools and other Non-profit organizations. Teachers could use the app to collaborate with their students and to assign work or tasks for them to do. The app also automatically stores and syncs all the class materials like notes, assignments, and syllabus to the Google Drive account. This will then be shared with all the students added by the teacher and could be accessed by everyone. Google Classroom is easy to setup and saves a lot of time taken to organize things. Trusted Contacts by Google is an excellent way to make sure that you feel safe and secure at all times. Using the app, you can add the details of your close of friends or family and assign them to trusted contacts. 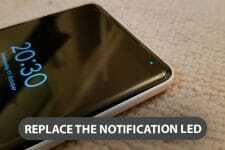 They could access your location or monitor your phone’s activity at any time with your permission. Google would also share your last known location with your trusted contacts in case they have not heard back from you within a custom Timeframe. You also have the option to enable permanent location sharing so that your trusted contacts could always know where you are using Google maps.